Symptoms of scoliosis include back pain, leg length discrepancy, an abnormal gait, and uneven hips. Patients with AIS may have one shoulder higher than the other, a “prominent” shoulder blade and rib cage when bending forward, and visible curving of the spine to one side. Often the first indication of AIS is when an adolescent or parent notices that clothes no longer fit correctly (for example, the legs of pants may seem uneven). As the vertebrae (spinal bones) rotate, the rib cage is affected, which in turn can cause heart and lung compromise (i.e. shortness of breath). When progressive scoliosis affects the lumbar spine the pain can be debilitating. Palpation The physician “feels” for abnormalities. Perhaps the ribs are more prominent on one side. Lenke Classification Doctors primarily use one of two classification schemes: King or Lenke. At our practice we usually use the Lenke Classification System. The System helps surgeons to determine what levels of the spine to fuse and instrument. 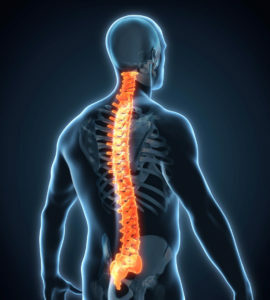 Spine surgeons utilize various surgical procedures to treat AIS. The overall goals are always the same, but the techniques and instrumentation used will vary from case to case. Your surgeon may perform the procedure from the front (anterior) or from the back (posterior). He may even make extensive use of minimally invasive techniques. Left untreated, adolescent idiopathic scoliosis can cause significant physical deformity, debilitating pain, and psychological distress. However, proper treatment and care for AIS can prevent further curve progression and stabilize the spine while your child grows. Your spine surgeon can discuss the risks and benefits of different treatment options with you, so that both you and your child are well informed.